In my post of January 4th, 2015, I published the first English translation of a 1982 letter of René Lévesque to the Socialist International (SI), scooped from the unpublished files of the Parti Québécois by the Fédération des Québécois de souche (FQS). Let’s take another look at that letter. Friedrich Engels was a Socialist who wrote the Communist Manifesto with Karl Marx in 1848. Therefore, in 1982 when René Lévesque attempted to admit the Parti Québécois to the Socialist International, he was expressly assuring them of his support for their plan of world government. 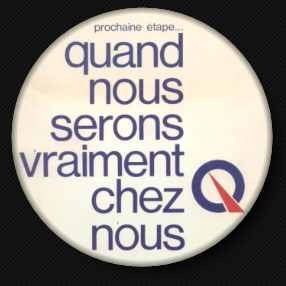 “Cela signifie que, sur deux ou trois plans absolument existentiels, l’État-nation a fait son temps. Il lui faudra céder cette portion de ses pouvoirs et de ses ressources à une autorité qui soit un Conseil de Sécurité pour l’humanité tout entière. Ce n’est pas demain la veille, bien sûr. Mais si l’on veut compter sur un demain, quelle autre issue ? René Lévesque was not a nationalist, a sovereignist or a patriot. He was a known Communist and a globalist. “This is clearly a coercive – uh – which ref – uh, which represents the kind of, of – of, uh – of system known in socialist countries. Narciso Pizarro, a Marxist sociologist interviewed in the same broadcast, and who specializes in trade-unionism, admitted that the Parti Québécois manifesto took its inspiration from “the Yugoslav model“. (2 min. 26 sec.) The former Yugoslavia, of course, was a Communist state under Marshal Tito until his death in 1980. Thus, in 1972, at the time of the Parti Québécois manifesto, the plan for Quebec is admittedly Communist. The Parti Québécois is therefore obviously Communist. 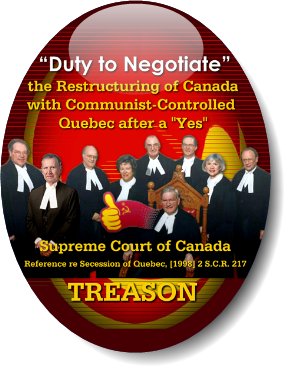 The referendums in Quebec to “secede” are an obvious device to acquire temporary sovereignty sufficient to sign “treaties” undertaking to destroy that same sovereignty in Communist regionalism subject to world government. That regionalism, intended to stretch horizontally, East-West, with the “rest of Canada” signing on to the “partnership”, is moreover modeled on the regionalism now unfolded in Europe. 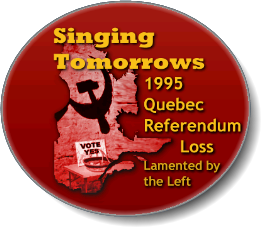 At the time of the 1980 Quebec referendum it was called the European Economic Community; at the time of the 1995 Quebec referendum, it had become the European Union. By 2001, Mikhail Gorbachev was calling it “The New European Soviet“. 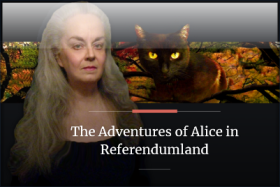 Both referendums failed — despite attempts to rig the outcome — thus the regionalization of North America was pursued vertically, North-South, by means of so-called “trade” deals to incorporate Canada, the USA and Mexico into a single unit. 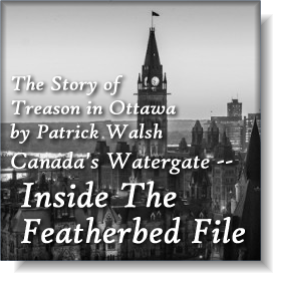 When NAFTA stalled, 9/11 occurred, conveniently kick-starting the final leg of the forced march to North American…. Soviet Union. 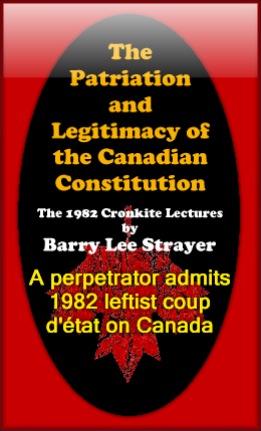 It should be no surprise that René Lévesque himself called his plan for the re-federation of Canada with a (temporarily) sovereign Quebec both a new “Canadian Union” and a new “Canadian Community.” These designations must be familiar…. they are clearly echoed in the Council on Foreign Relations’ 2005 blueprint for “Building A North American Community,” commonly known as the North American Union. They were also based on the European Economic Community, and the European Union. Moreover, one of the signatories to the 2005 “Building A North American Community” plan is Pierre-Marc Johnson, leader of the Parti Québécois after Lévesque, and therefore the Communist Premier of Quebec. 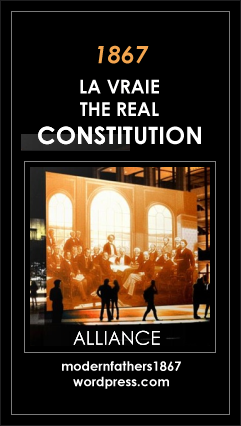 The North American Union, modeled on the European Union — the “New European Soviet” — must therefore be Communist. As to who really founded the Parti Québécois — because René Lévesque is just the front man — I’ll give you that in another post another day. * Leon Trotsky, also known as “Lev Bronstein”.